The new timeline, announced Monday, stretches the $2.2 billion megaproject a full three years beyond the original schedule. Several reasons are behind this delay. 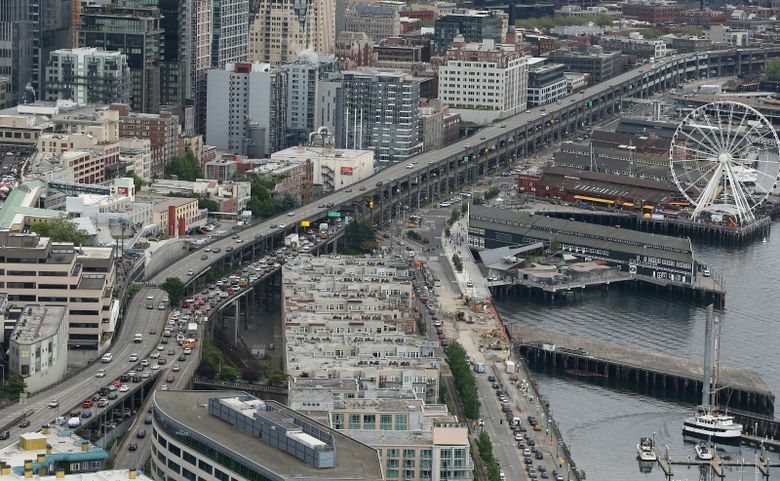 Motorists and bus riders will have a few more months to enjoy the commoner’s view of Puget Sound from the Alaskan Way Viaduct, because the state has postponed its demise until Jan. 11. On that date, the elevated highway permanently closes after 65 years and a damaging 2001 earthquake — which also provided a political opportunity to remove the doubled-deck concrete structure from the tourist-attraction waterfront. During the three-week transition in January, there will be no Highway 99 between Spokane Street and Belltown until interchange ramps are connected and a new four-lane tunnel opens to traffic in early February. Transportation managers urge people to use the next few months to test out new transit routes, ferry commutes or telecommuting. The longer timeline, announced Monday, stretches the $2.2 billion megaproject a full three years beyond the original December 2015 timeline set by former Gov. Chris Gregoire, when she and lawmakers chose a tunnel in early 2009. The Washington State Department of Transportation (WSDOT) abandoned its recent optimism that the difficult changeover from elevated to underground lanes could be accomplished this fall, and that the public could adapt on 30 days notice. The concrete tunnel under downtown is finished, along with 70 to 80 percent of necessary testing on signals, lights, fire suppression and safety alarms, said Highway 99 administrator Brian Nielsen. However, he said Monday that if WSDOT stuck to the fall closure schedule, rainstorms could delay paving the tunnel entrances into late November. Rain delays in January wouldn’t create as much havoc, he said. A late-summer schedule update showed a Sept. 21 completion date by Seattle Tunnel Partners (STP) sliding to Oct. 1. A testing incident Aug. 30 involving stray air pressure dislodged a steel elevator door in the north maintenance building, but Nielsen said that’s being fixed without affecting schedules. More critically, officials worried about disrupting holiday shopping and events. Seattle has a longtime moratorium on other late-year roadwork, said Heather Marx, downtown mobility director for the Seattle Department of Transportation. “Between Thanksgiving and New Year’s, we limit the amount of construction that can take place in the right of way, to support the retail community during the holiday season,” she said. Jon Scholes, CEO of the Downtown Seattle Association, said he told transportation staff the public should have five, six, even eight weeks of notice before the viaduct closure. That would give employees and employers more time to coordinate commutes, he said. Also, there are more out-of-town visitors who’ll have trouble coping with detours in November and December, compared to January, he said. While the delay may aid holiday commerce, it also pushes next year’s viaduct demolition into the summer tourism season, instead of the May completion WSDOT hoped for. Ivar’s president Bob Donegan, a tunnel supporter who tracked the project for years through committees, said state executives didn’t tell him about the postponement in chats last week. “That’s a huge disappointment for us, because the promise has always been we get June, July, August and September without construction disruption, and that promise is being violated,” Donegan said. Ivar’s has operated a waterfront seafood restaurant since 1938. 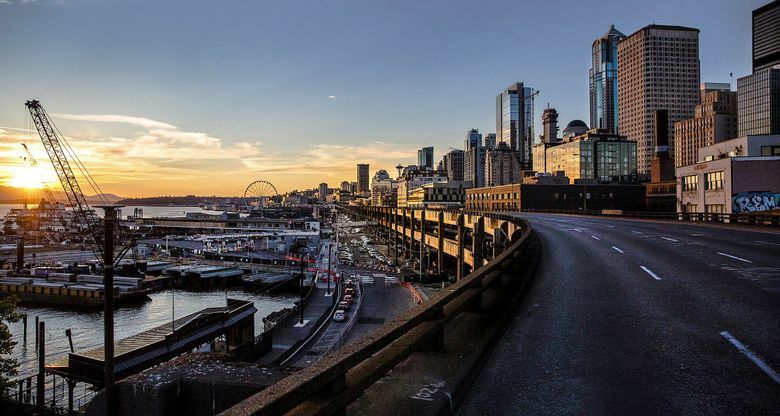 • Sometime in October, the surface Alaskan Way will be shifted west out from the shadow of the viaduct, and reopened with two lanes each direction. A few blocks have already been paved near Colman Dock. 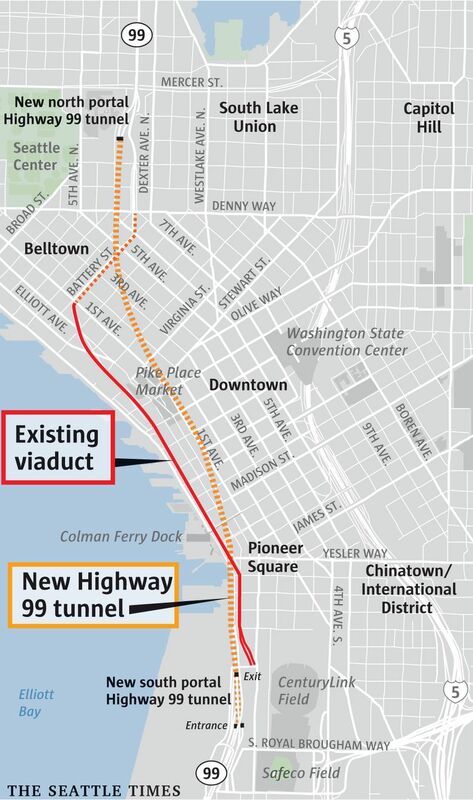 • The viaduct’s southbound Atlantic Street exit in Sodo will close a week before the Jan. 11 highway closure, to complete the tunnel connection there. • After the tunnel opens, crews need two additional weeks to finish linking the earthquake-resistant northbound overpass to the new Dearborn Street/Sodo interchange. Until then, drivers coming from West Seattle and Burien must go all the way through the tunnel, which lacks mid-downtown exits, until reaching the new South Lake Union interchange. Nielsen said contracts will need to be renegotiated with Scarsella Bros., for ramp-connection work, and with Kiewit Infrastructure West, for demolition and the waterfront boulevard. Asked if new delays would add at least $10 million in overruns, Nielsen said the expense should be less. He emphasized that when tunnel-boring machine Bertha broke into daylight on April 4, 2017, the official schedule showed an early 2019 completion. As road decks quickly took shape, managers and contractors aimed toward the sooner fall 2018 opening, before changing course late last week. Tunnel contractors spent two years to repair and adjust Bertha after a breakdown in late 2013 — itself an epic project in which a massive tower lifted the 4-million-pound, disc-shaped cutterhead to the surface. Project budgets show $2.2 billion for the tunnel, and $3.3 billion overall including ramps, demolition and connecting roads. Of that, about one-fourth is federally funded, with the remainder from state gas tax, the Port of Seattle and tolls. Cost figures don’t include whatever the state might pay in litigation, where contractors seek payment for up to $600 million in overruns caused mainly by the Bertha’s stall. Toll rates are expected to range from $1 off-peak to $2.25 in late afternoon, but the state will wait a few months past the opening to begin collecting them. WSDOT will organize a public farewell for the viaduct and a grand opening for the tunnel, said spokeswoman Laura Newborn. A 2011 event drew 3,200 people before a nine-day razing of the Sodo half of the viaduct. State project updates are online at www.99tunnel.com and on twitter under the hashtag #realign99. Correction: An earlier version of this story incorrectly reported the age of the Alaskan Way Viaduct. It was completed about 65 years ago.